These 2 little pigs will keep you entertained all day long. 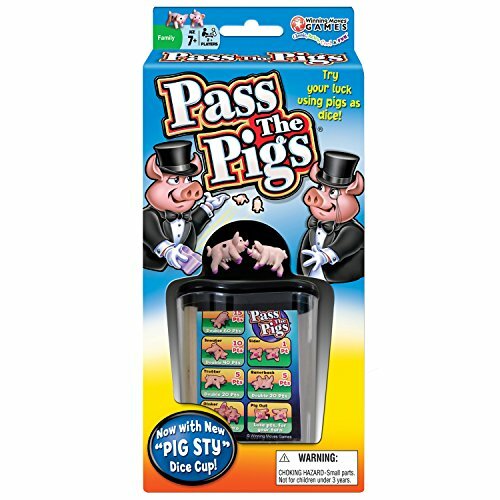 This Pass the Pigs classic party game consists of 2 pigs you use as dice, pad, 2 pencils and a carrying case. Roll them as many times as you dare on your turn to score points. Just don’t role a “pig out” or an “oinker”. The first person to 100 points wins. Makes an ideal travel game with its small plastic carrying case. How’s your tolerance for puns? 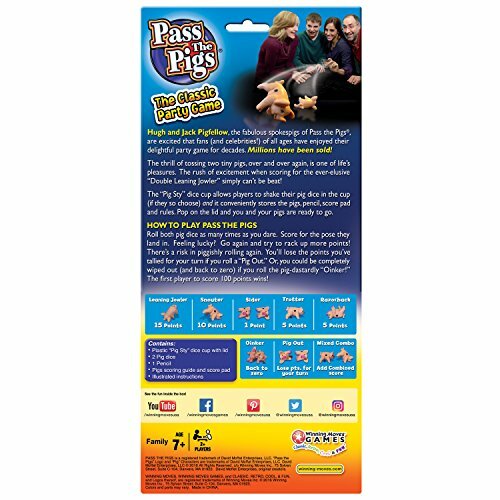 You’ll need some for Pass the Pigs, a simple game of chance built around a pig theme. Instead of dice, you roll two cute pink piglets, and you gain or lose points depending on how the critters land. For example, if both land on all fours, called a “double trotter,” you get 20 points, if they land lying opposite each other, called a “Pig Out,” you gain no points and cede your turn. 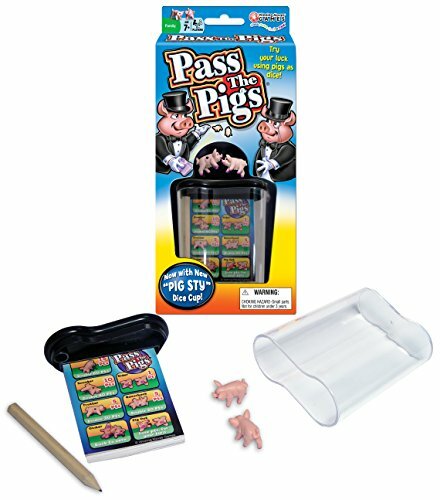 There are a number of other rules as well as a variation called “Hog Call.” This would be a good travel game (the pigs, instructions, and scoring pad fit in a small, tidy box) or a fine present for someone who’s, well, into pigs! –Elisa Murray; See all Product Description. LET’S PLAY: Two to four players may compete, and the first player to reach 100 points or more wins the game. IT’S YOUR TURN: You roll and if you get a Pig-Out or an Oinker, then you pass the pigs onto the next player. If you get anything else, you may decide to roll again or pass the pigs. 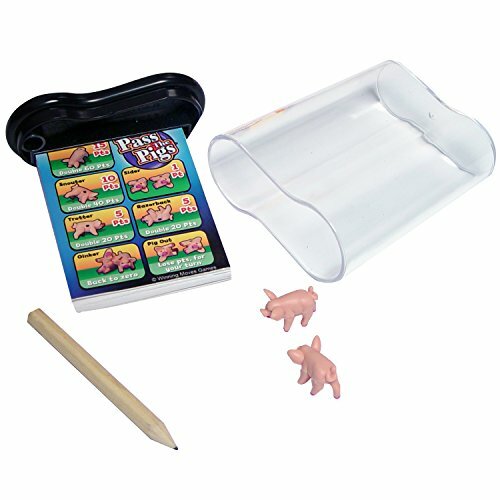 TAKE YOUR PIGS ANYWHERE: Makes an ideal travel game with its small plastic carrying case.